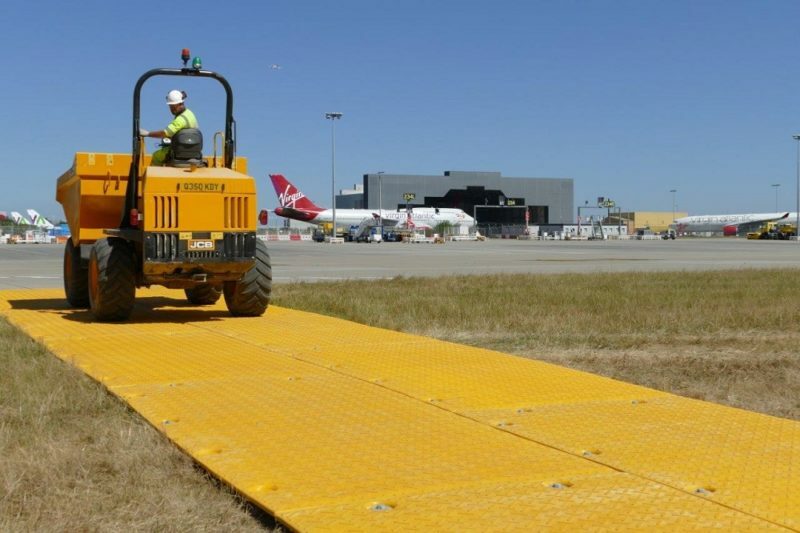 The construction of a new Boeing maintenance hangar required the creation of a temporary access road to enable heavy vehicles to mobilise on site. Being so close to the runway a key requirement of the job was for the roadway to be securely fastened down to prevent any dangerous uplift from the nearby planes that taxi back and forth. 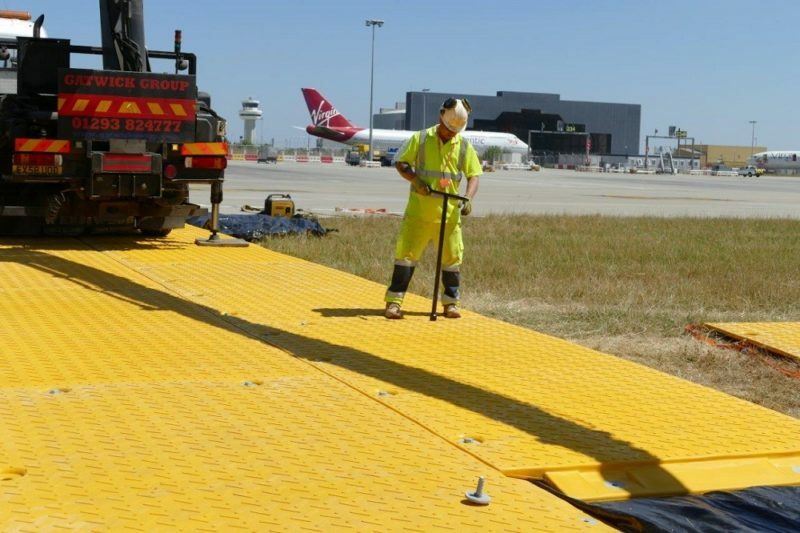 The new XtremeMat matting system was deployed initially on a four month hire. 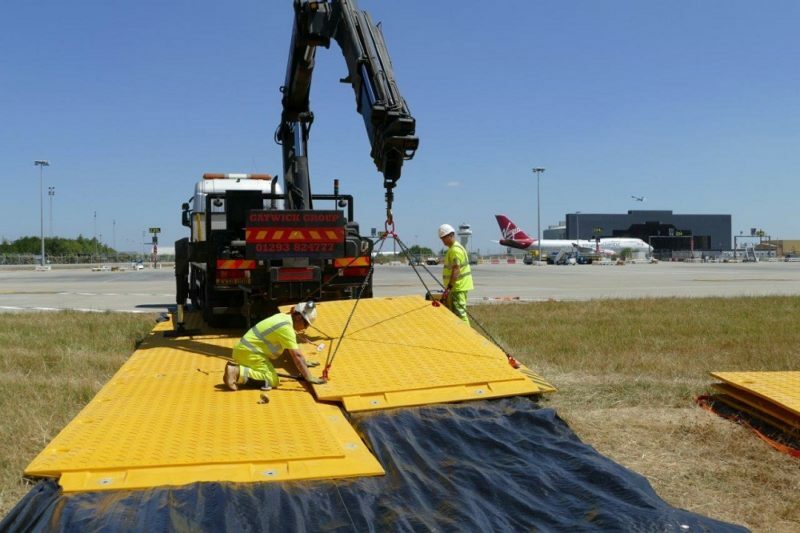 The large 4x2m heavy duty mats were craned in using a hiab and a special four leg chain set. 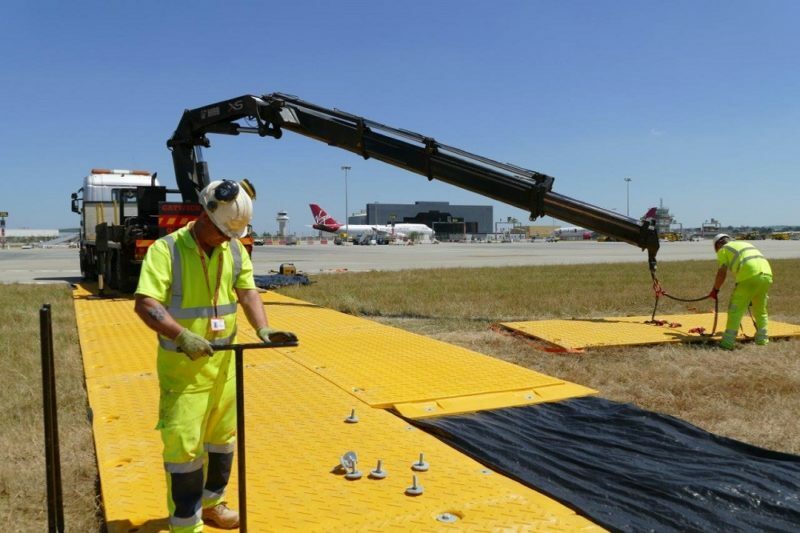 Once positioned into place the mats were then joined using mega bolts and secured to the ground using spiral pins. It didn’t take long to build a strong, high traction roadway that was safe, secure and visible to all surrounding traffic. The client was very impressed with the efficiency of the XtremeMat system and the ease in which it was deployed. They can now begin work on the new hangar happy that all Health & Safety requirements have been met.